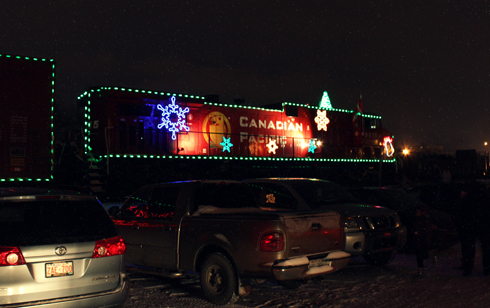 On a very chilly December 8th evening, Andrea and I went down to the rail yard to see the arrival of the Canadian Pacific Holiday Train. 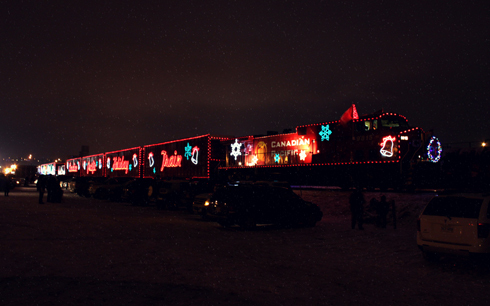 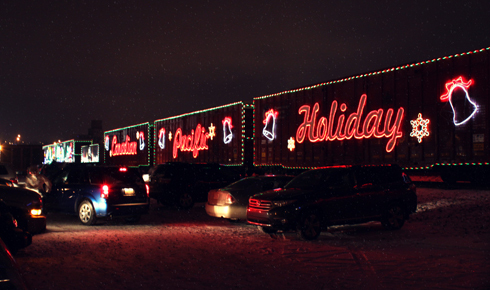 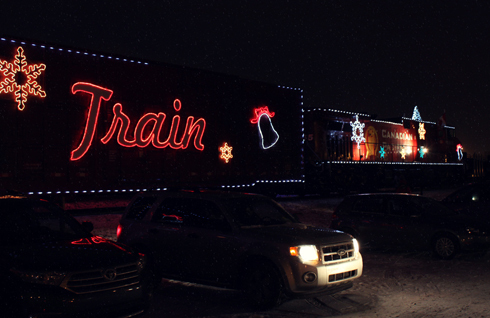 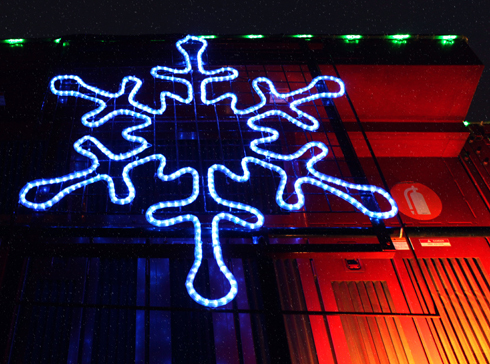 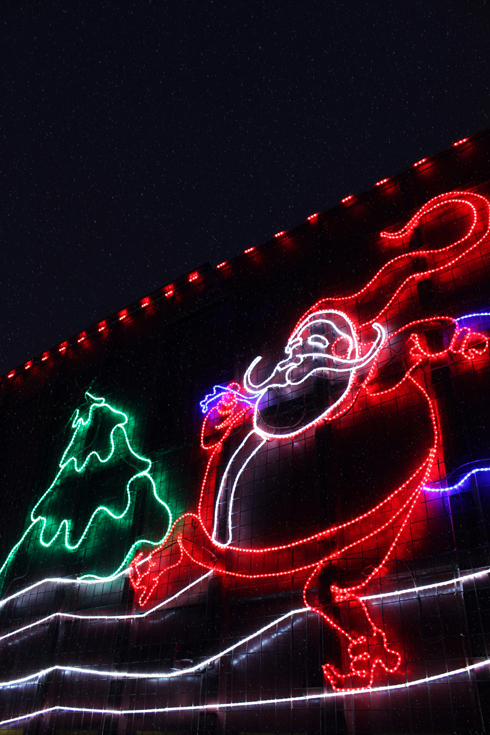 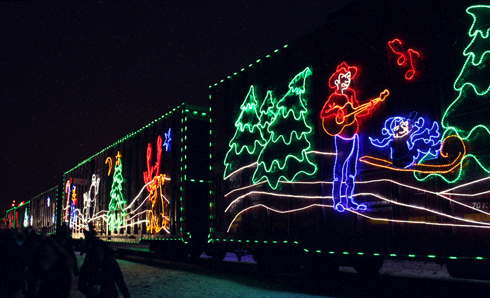 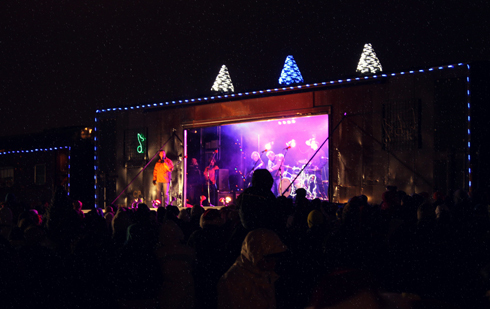 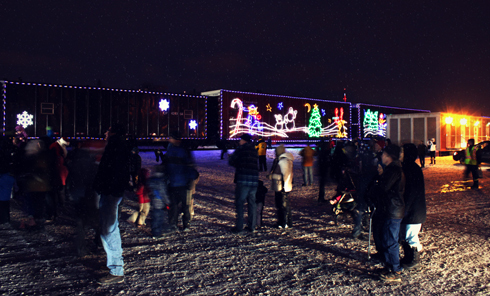 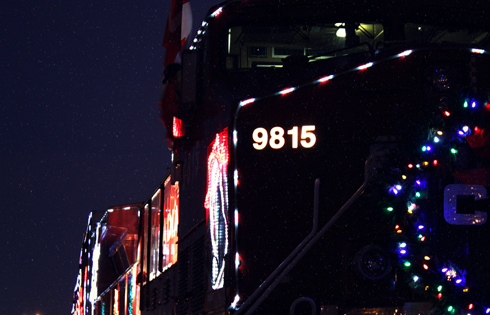 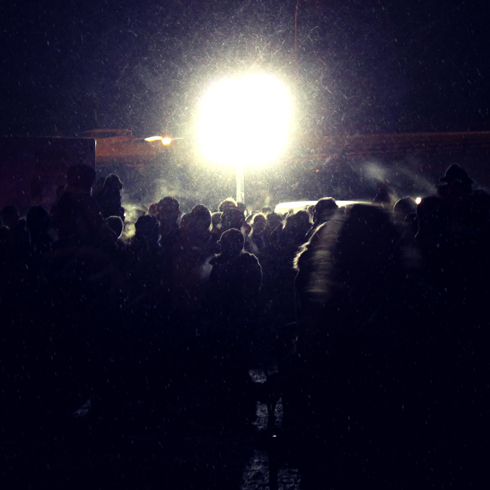 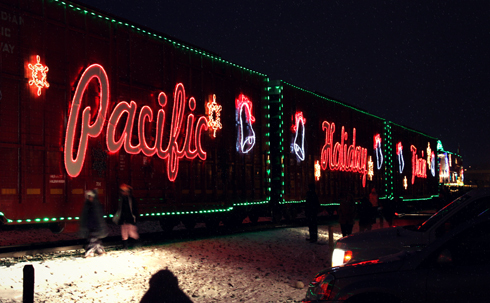 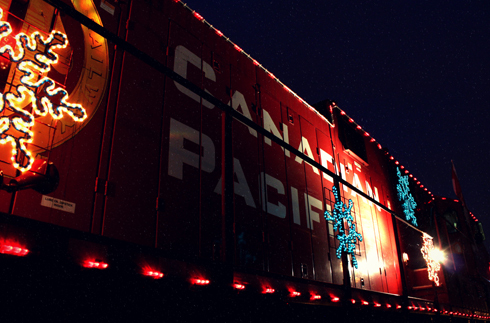 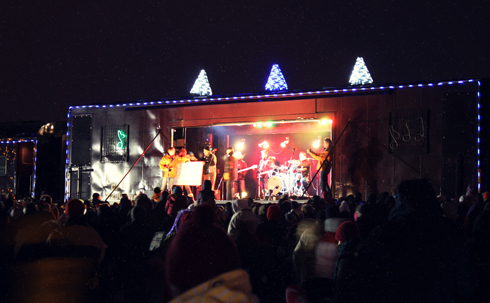 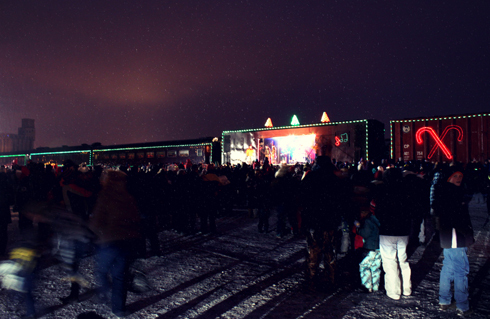 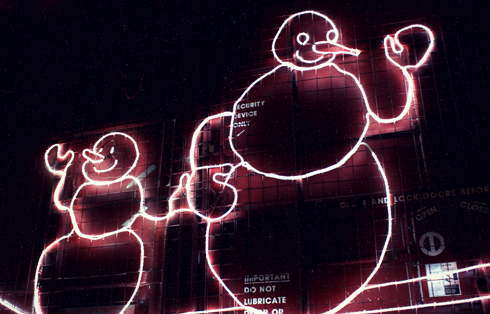 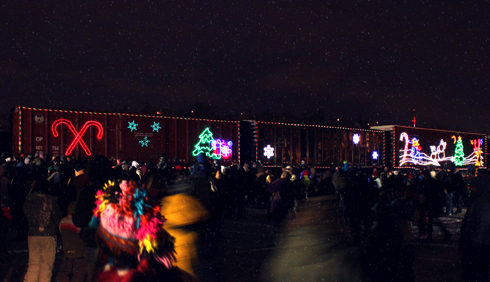 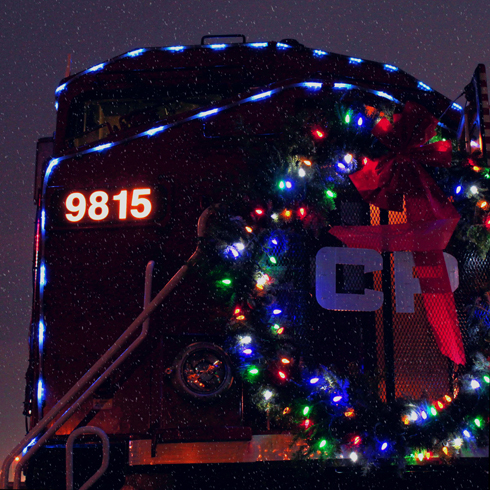 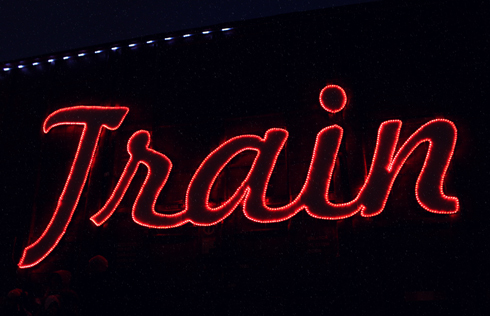 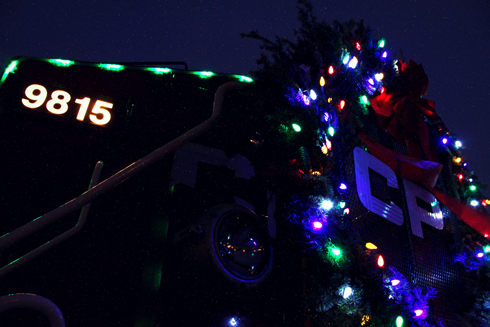 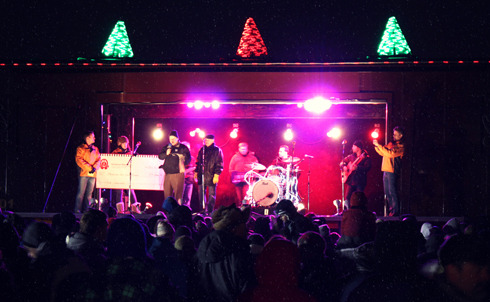 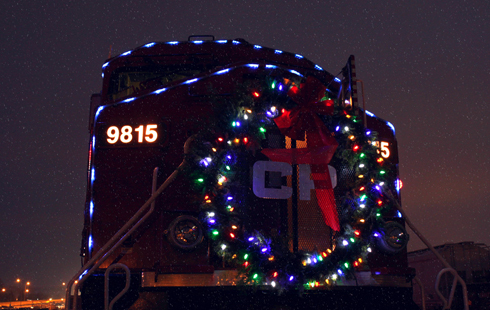 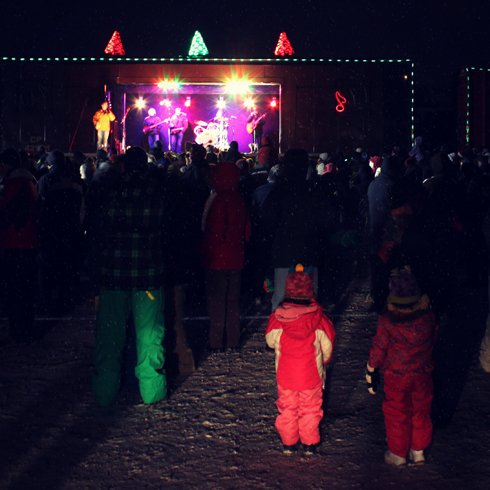 Decked out in lights, and featuring a box car stage with live music, the stop in Medicine Hat, Alberta was just one of 150 that the train made across the country from Quebec to British Columbia with the purpose of raising money for local food banks. 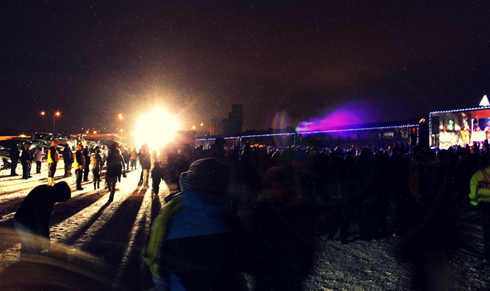 We caught the tail end of Doc Walker's performance, and walked the length of the train so I could take pictures. 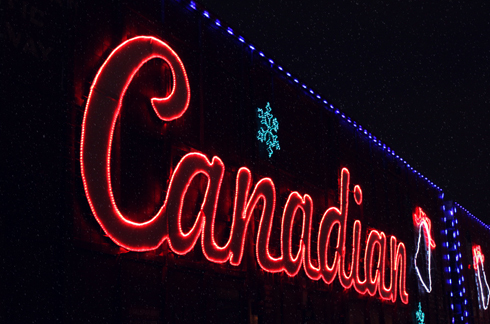 In all fairness, we were probably only there about 20 minutes before we both felt uncomfortably numb and decided to head out for supper. 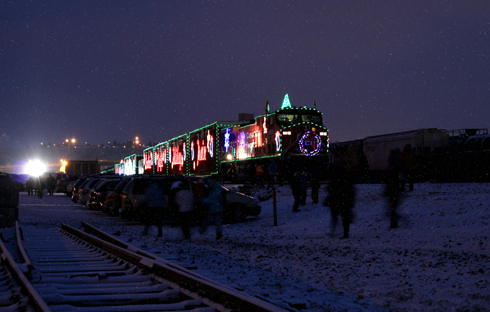 It was a cool display in any case, and despite the cold and icy conditions, the short visit drew an impressive crowd of onlookers.